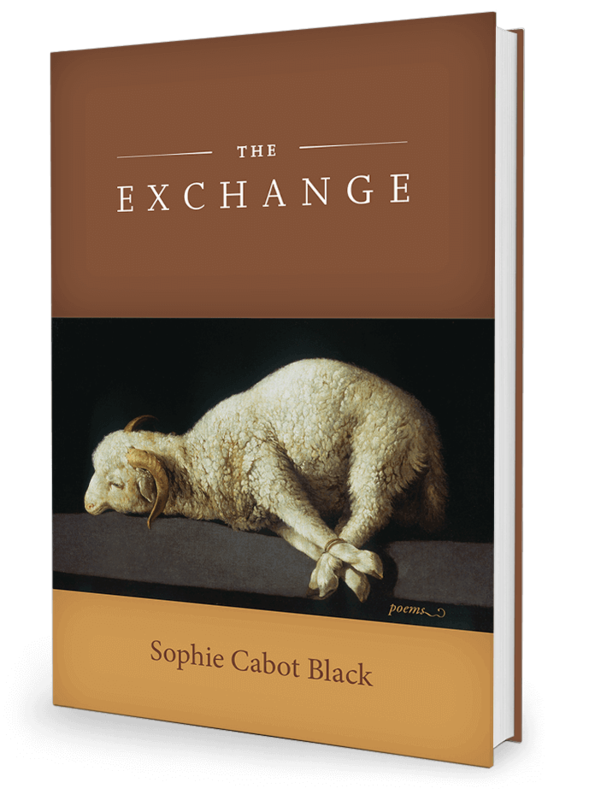 In ‘The Exchange’ poet Sophie Cabot Black explores the surprising interplay between mortality and money, between the next world and this one, between the language of disease and the language of finance. Following a beloved friend through long illness and eventual loss, these poems confront with stark emotion the aftermath, even as the outside world–– the world of debts paid and collected, of power and dominion–– intrudes. Hers is a look behind the curtain where exchanges are made, where deals slip, mislead, and finally break. What is gained and what is sacrificed, and how can those profits and losses be measured, when the currency involved is love?